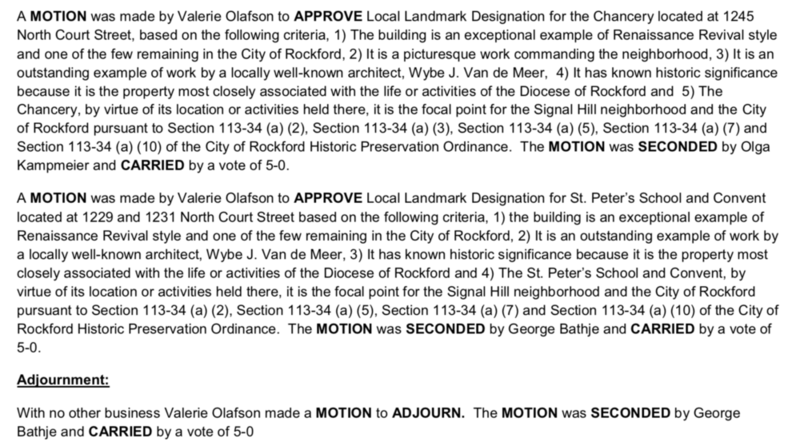 I am writing to respectfully ask for your vote to grant Historic Landmark Status for the Rockford Chancery Building and related buildings when the matter comes before the full Council for a final vote. There are many questions raised by this complex issue, many voices and opinions clamoring for your attention, but fortunately there is truly only one question that you must consider when determining your vote: Is the Chancery a historic building worthy of landmark status? Once ZBA/LTAB has made a decision, it puts another tool in the hands of Council -- our vote to approve or deny an application theoretically becomes the first "layer" of consideration when it comes time for the Council to vote on a matter. And so we return to the central question of the matter at hand: Is the Chancery a historic building worthy of landmark status? If you do not feel you have the professional knowledge or personal experience necessary to definitively answer that question, you are fortunate to have a layer of insight, a tool in your toolbox, to inform your decision: the unanimous recommendation of the Historic Preservation Commission, a commission whose members are approved by Council to make recommendations on matters of historic significance. Their unanimous recommendation is the most powerful tool at your disposal in this matter. Do not disregard it. Engaged citizens have carried this matter forward as far as possible with the tools at their disposal. As a council member, you are equipped with a far more powerful array of tools. I have been utterly disheartened to hear council members reject the very powers for which they were elected to wield, powers to maintain and strengthen the physical and social fabric of our neighborhoods, powers to build wealth and vibrancy into our neighborhoods and districts, powers to slow, shift, and turn the trajectory of our older neighborhoods from decay and despair to rejuvenation and renewal. Your vote of agreement that the Chancery is a historic building worthy of landmark status is not a governmental overreach or a threat to religious liberty -- it is the recognition that you have been elected to act with all the tools at your disposal to maintain the vital structures of our city. 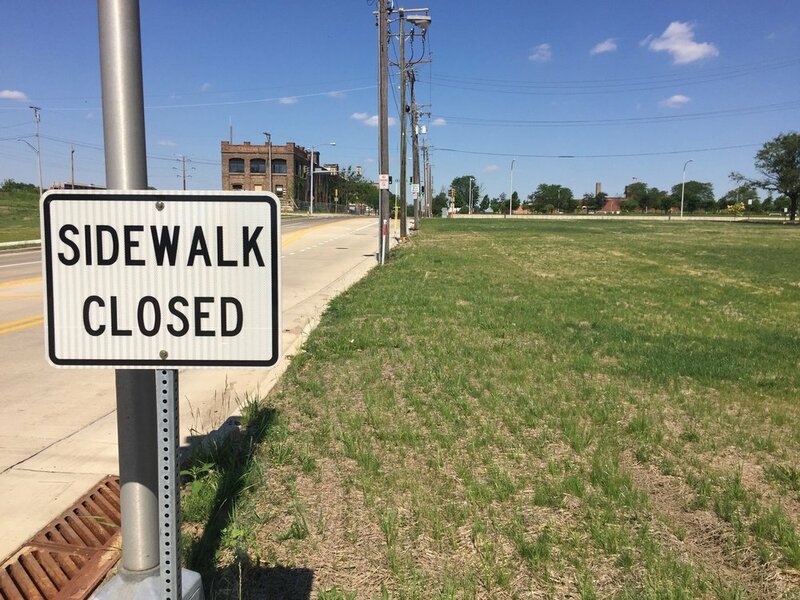 Is it an overreach to hold property owners accountable for neighborhood standards? To put conditions on the approval of a liquor license? To require a permit for construction or deconstruction? These are normative actions of the government that employs you, actions that are not based on whims or opinions but codes, ordinances, and systems. You were elected to use the system for the good of your constituents, for the financial well-being of the City and all who call it home. Your vote of agreement that the Chancery is a historic building worthy of landmark status is not only fully appropriate, it is the only reasonable conclusion. How has safety been used to alter or maintain asymmetric relations of power? This is not just a question of who gets to drive and with how much latitude as if the equation is simply car=freedom=equality. As noted previously, automobility and the freedom it promises needs to be understood as obligation as well. 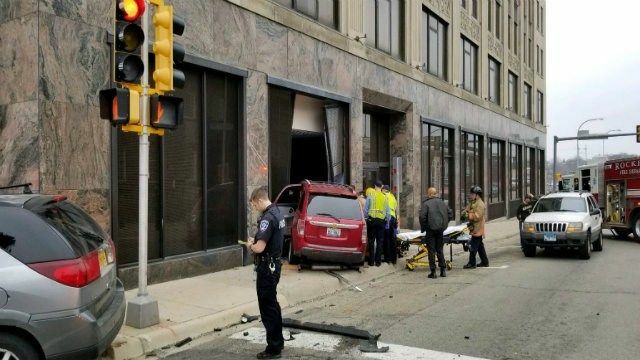 The system of automobility in the U.s. in many ways demands that one must drive a car. The disciplining of mobility organized through traffic safety is thus a means of keeping the system running smoothly, even as if often works as a means of keeping systems of social inequality intact. 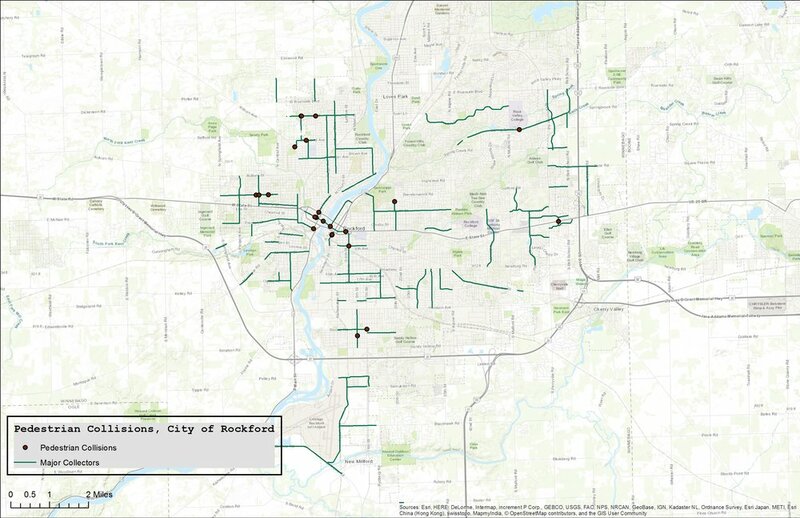 Yesterday I shared the below map as a means to satisfy the hypothesis: Pedestrian collisions occur more frequently on principal arterial roads in the City of Rockford. 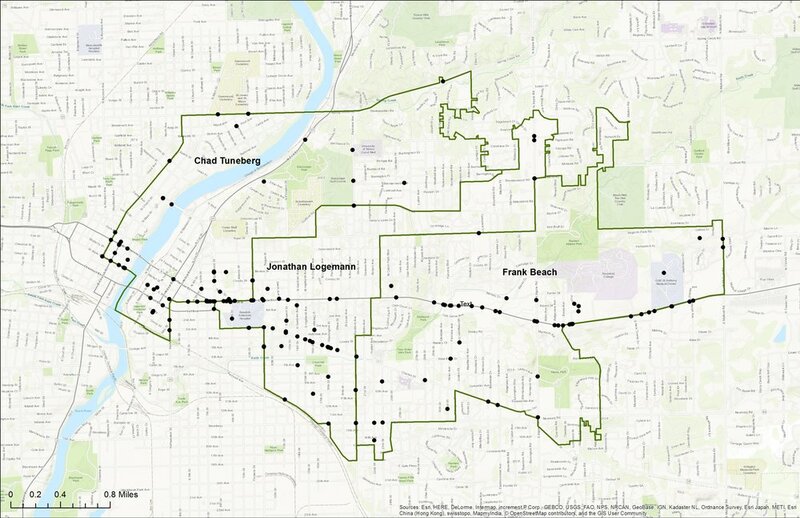 From 2006-2015, 81% of all collisions–446 out of 551–occurred on principal arterial roads in the City of Rockford. 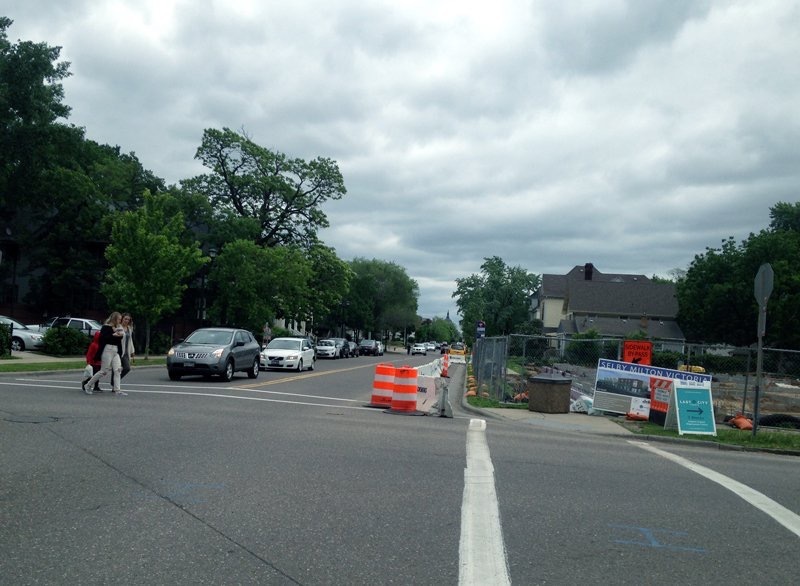 Strong Towns readers are keenly aware of the following design features of principal arterial roads (read: “Stroads”). 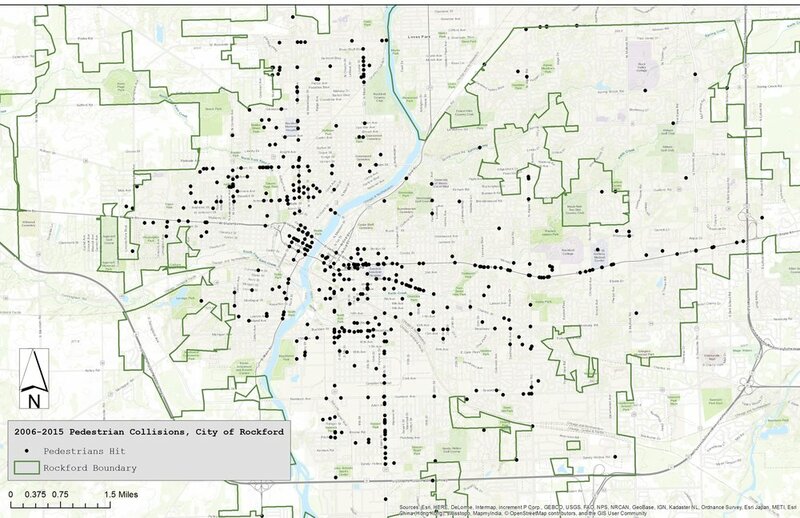 Nonetheless, I think it is helpful to visualize the features that characterize our most unsafe roadways in Rockford. South Main Street, looking north from Morgan Street. 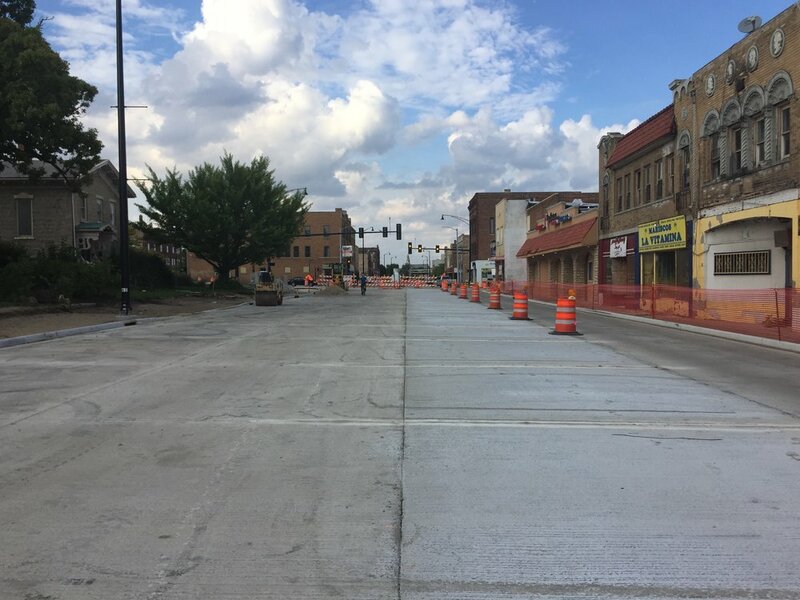 IDOT recently completed this roadway project which includes four 12' travel lanes. 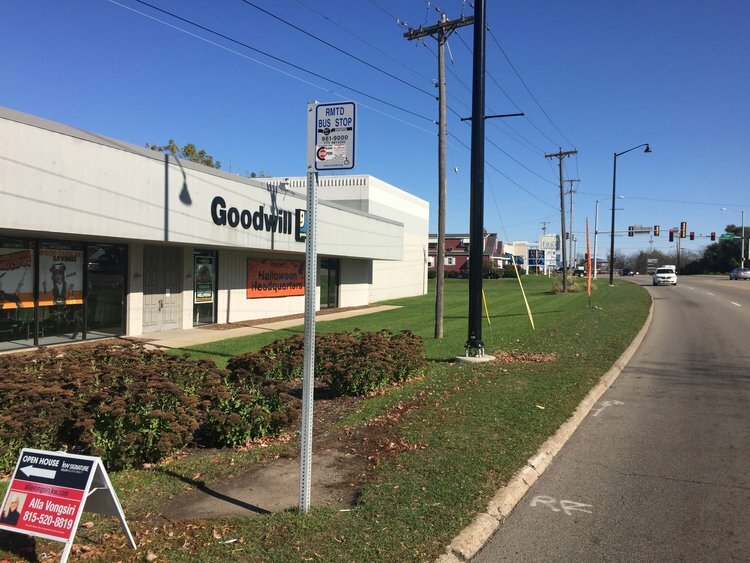 12' lanes are wide, especially given that this stretch is in a compact, walkable area of our city and is less than one mile from city center. 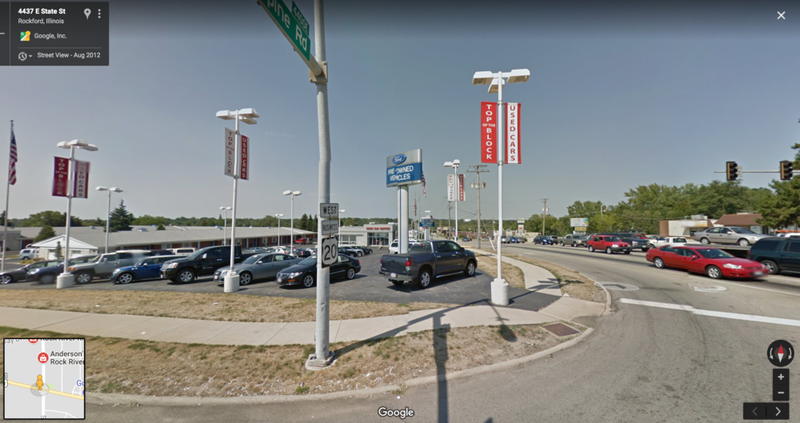 During the South Main reconstruction project, IDOT removed the on-street parking and demolished a tax-producing building so drivers could have ample parking. Fixed hazardous objects such as utility poles and parked cars are removed from the right-of-way. This gives drivers a false sense of security, and unduly places a higher risk on pedestrians. Pictured here is Jefferson Street looking west towards our downtown. We’ve given drivers an oversupply of travel lanes–four lanes on the bridge–while the annual average daily traffic (AADT) ranges only 6,000-8,00 cars a day. This communicates to the driver an environment that is frictionless…until friction sets in. Among the 3 E’s, I believe that engineering at the municipal level can play a significant role in reducing speed and improving pedestrian safety. Tomorrow I will share the steps I’ve taken since the above research took place, and also give you some action items that may be helpful for your community.